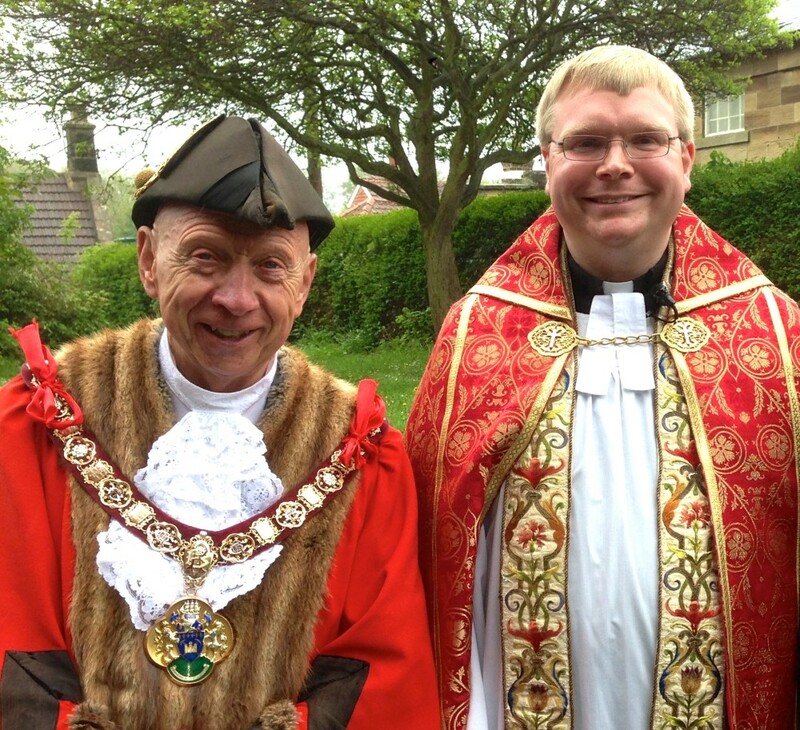 By kind invitation of the Worshipful the Mayor of the Borough of Redcar & Cleveland, Father Adam attended and said Grace at the Mayor’s Charity Ball, which was held at Gisborough Hall Hotel in Guisborough on the evening of Thursday 24th April 2014. Also attending the Charity Ball from Loftus were Cllr Wayne Davies the Vice Chair of Loftus Town Council and Cllr Eric Jackson Ward Councillor for Loftus. The Mayor’s Charity Ball is a highlight in the Civic Calendar and comes toward the end of Cllr Vic Jeffries year in office. This year the Mayor’s Charity Ball was held in aid of the Borough Mayor’s Charities, Zoe’s Place Baby Hospice and the Mike Findley MND Fund.